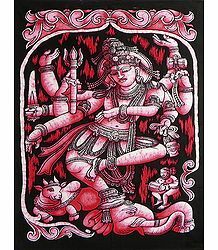 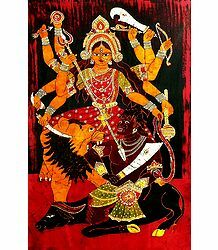 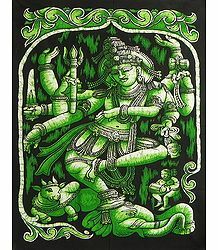 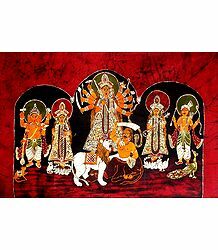 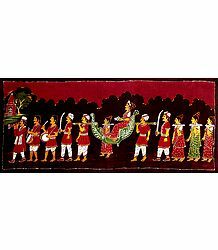 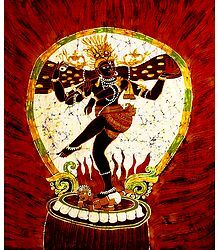 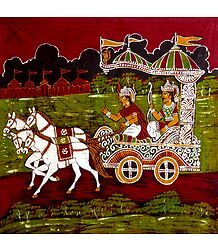 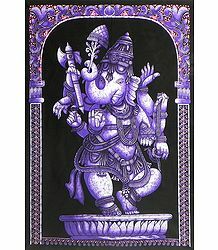 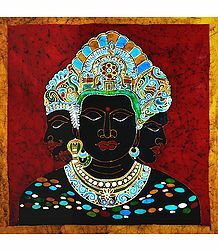 Batik Painting, depicting Hindu gods and goddesses and Indian village scenes, created using the wax method of Batik Art. 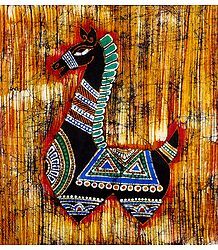 The beauty of batik painting lies in its simplicity. 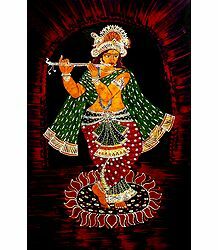 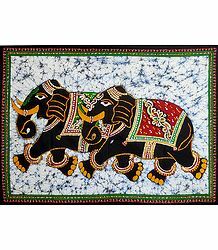 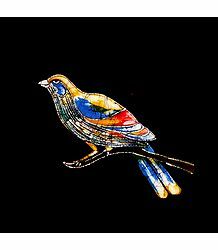 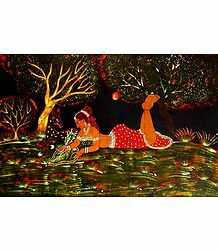 Batik or 'Wax painting' is an internationally popular cloth painting art. 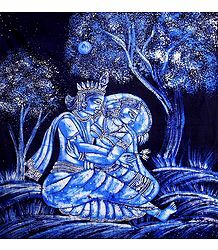 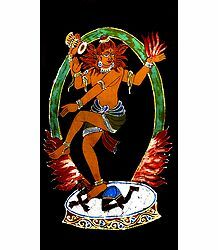 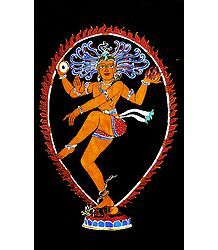 Indians knew the technique of Batik some 2000 years back. 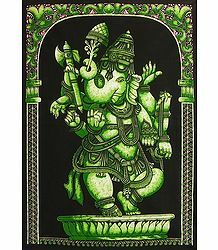 Rice starch and wax resists were used for printing. 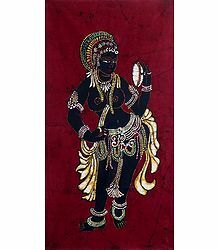 A batik artist needs to have a good sense of colors and patterns. 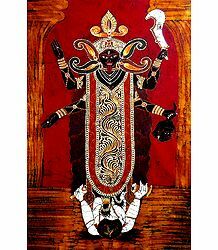 The painting process requires great patience and skill. 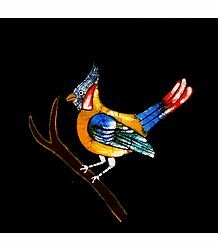 Crackles are unique characteristic of this art, which appears because of wax cracking and color dyeing. 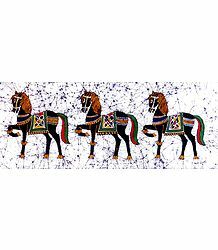 Applying the wax resist and systematic cracking are the key to a beautiful art piece. 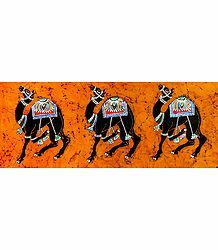 The characteristic batik effect is created by cracking of wax on the lighter hues and seeping in of the darker colors though them. 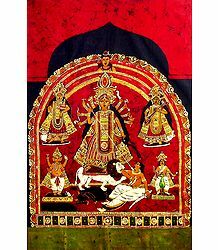 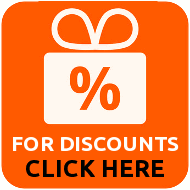 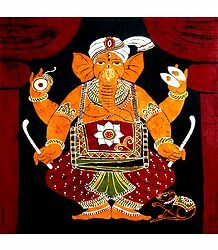 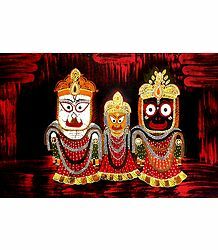 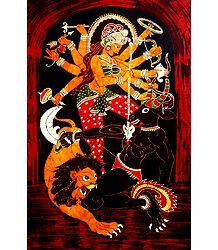 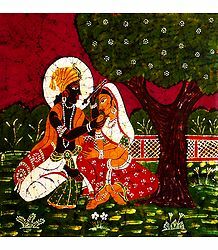 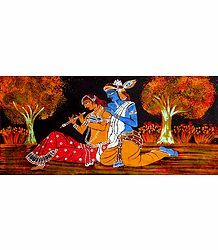 Ideal for wall,select from these unique paintings made by Indian craftsmen.